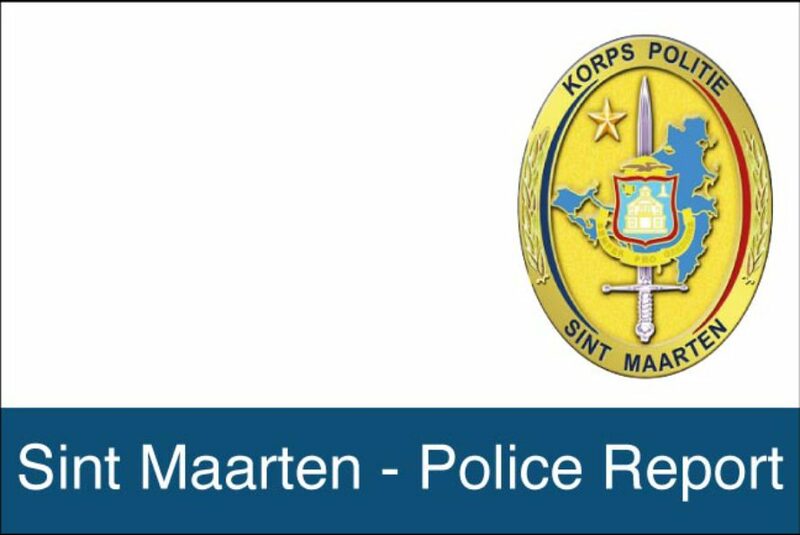 The Special Robbery Unit is presently investigating an armed robbery which took place on Tuesday February 28th at approximately 08.55 p.m. at Blue Rivera jewelry store located in the shopping complex at Maho. According to the report two unknown men arrived on the scene on a scooter. The passenger of the scooter stormed into the establishment armed with a gun and threatened everyone that he would use his weapon. The culprit then broke the showcase and stole and undisclosed amount of jewelry. After committing this act he jumped back on the awaiting scooter and both culprits fled into the direction of Low Lands. No one has been arrested in the case. Anyone who may have information in connection with case should call 54-22222 ext. 213-214, the anonymous tip line #9300 or 911. On Wednesday March 1st 12 students from the Michigan State University accompanied by Dr. Steven Bow and his wife Linda Bow, Associate professors at the School of Criminal Justice paid a visit to the Police headquarters in Philipsburg where they met with a team of representatives from the Police department. This team consisted of Chief Inspector Ricardo Henson of Public Relation and Communication and the CPO’s/ Inspectors Helen Romeo and Rensley Henson. An extensive presentation regarding the police force and its daily operation was given, including how and when the police force (KPSM) came about, among several other topics. After the presentation the students were allowed to ask questions. The students were quite impressed with the presentation and were very happy to visit the island. The students also had the opportunity the meet the Chief of Police Carl John who was more that happy to say a few words to them. “Les PTOM ne font pas partie intégrante de l’UE mais ils bénéficient d’un régime d’association.